Joan E. Hill, 84, of Fostoria, passed away Wednesday morning, April 10, 2019, at Good Shepherd Home, Fostoria. She was born Jan. 19, 1935, in Tiffin, to Sylverius and Celeste (Reinhart) Brickner. She married Harlow E. Hill and they later divorced. Survivors include her sons, Steven H. (Annette) Hill and Kenneth A. (Amy) Hill, both of rural Fostoria; daughter, ChrisAnn J. (David) Michaels of Fostoria; sister, Marilyn (Joseph) Hershey of rural Fostoria; five grandchildren, Theresa Fraver, Michael Fraver, Morgan Hill, Hailee Hill and Hudson Hill; and one great-grandchild, Emma Phebus. She was preceded in death by her parents; and brothers, Norman Brickner and Leonard Brickner. 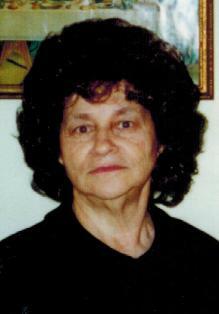 Joan graduated in 1953 from Hopewell Loudon High School and worked at RCA in Findlay for 35 years, retiring in 1992. She was a member of American Legion Auxiliary Post 354, New Riegel, and enjoyed playing euchre, planting flowers, yard work, cleaning her house, getting together with classmates, decorating and loved Christmas. Joan was a great cook and baker, very particular and a die hard shopper. Friends may visit with the family 3-5 p.m. until the time of her service at the funeral home. Her funeral will begin at 5 p.m. Monday, April 15, 2019, at Hoffmann-Gottfried-Mack Funeral Home & Crematory, 236 S. Washington St., Tiffin, OH 44883, (419) 447-2424 with the Rev. Jerry Copeland officiating. There will be no burial at this time. Memorial contributions may be made to Bridge Hospice or Bascom Fire Foundation.